In China, Taiwan, South Korea and Japan it’s common for people to wear these masks if they think they’re getting sick or even have a slight cold. They do this as a courtesy to prevent spreading their own infection to others. Contrary to widespread belief, these masks are worn not to protect the wearer – they are worn to protect others. One common example is the masks worn by surgeons during an operation, to stop their own bacteria from entering the open body. But that couldn’t be the case all the time, because almost every fifth person was wearing one. Wearing face masks in most parts in Asia is a huge trend. I observed the same inclination for wearing masks in China, Taiwan, South Korea and Japan and sought the opinions of my friends as to why they might wear these masks and want to share this with you now, as apparently there are a multitude of reasons they wear them. 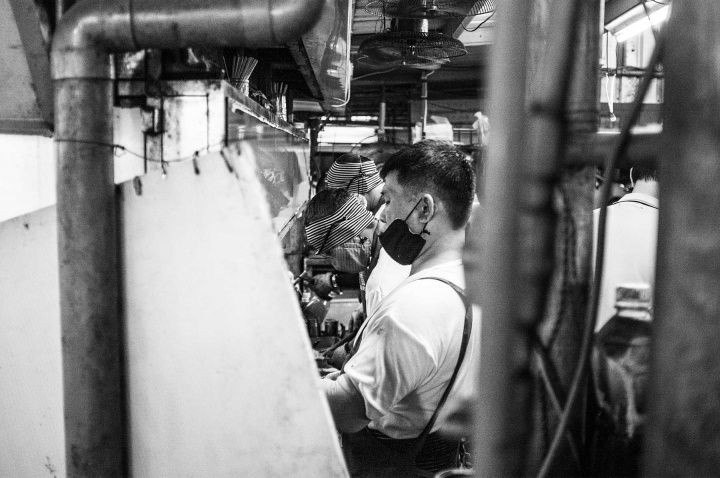 Men working in the kitchen. Night market, Hualien, Taiwan. Man in metro reading the book. Fushimi Inari Station, Kyoto, Japan. As I have already mentioned, it stops any virus you may have from spreading in public spaces. 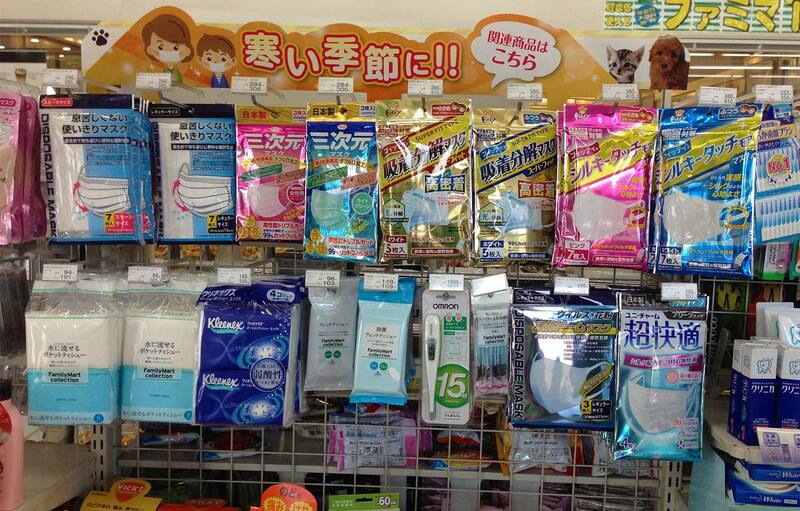 Face mask shelf. 7-Eleven, Beppu, Japan. Masks cost pennies and are a good value investment. The Taiwanese take no chances. 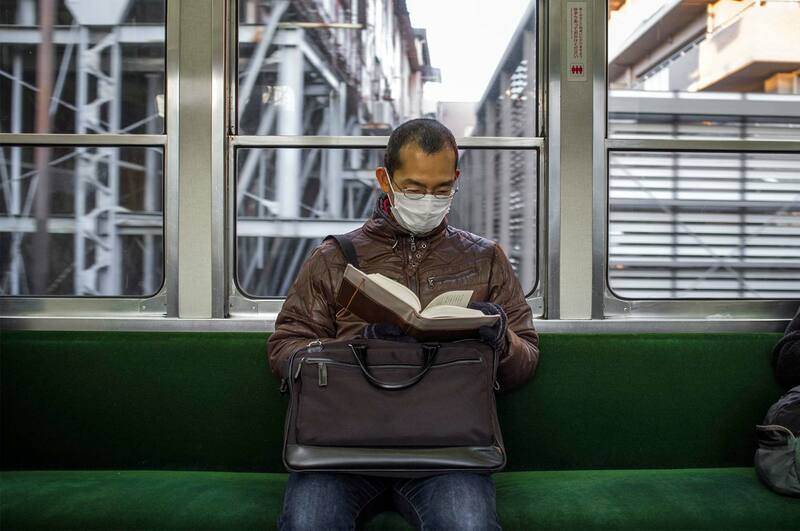 During the SARS outbreaks, panic ensued, and now masks have become a non-panic trend too. There’s also an inherent fear of getting sick. Some people are so sensitive. Man in the branded face mask. Namsangol Hanok Village, Seoul, South Korea. Some men like to look like Sub-Zero. Decorative cloth masks with prints of flowers, animals, faces or cartoons, have jumped from the medical field to appealing to Taiwan’s younger population. Even fashion brands have started producing masks now. 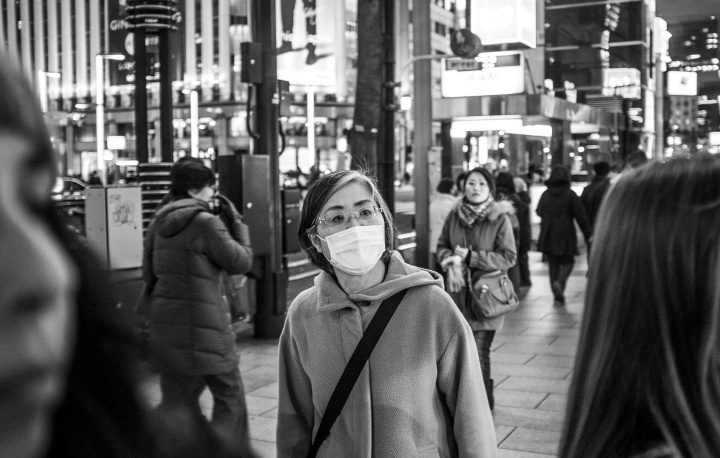 Since the Asian are generally very shy people, masks help them to avoid public attention. 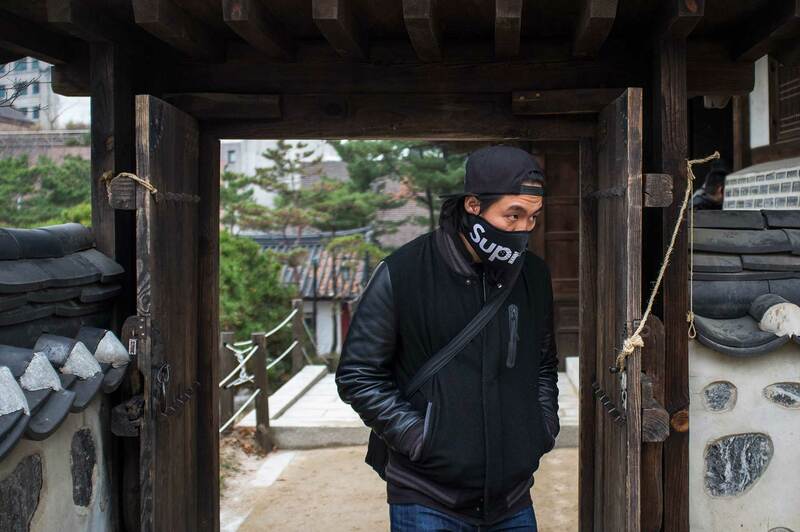 In low temperatures a mask can help retain body heat, especially for those who ride scooters. Asian believe that pale skin is a sign of higher social status and wealth. Women of all ages wear masks to prevent their faces from becoming tanned. In China, women primarily use umbrellas for this purpose. 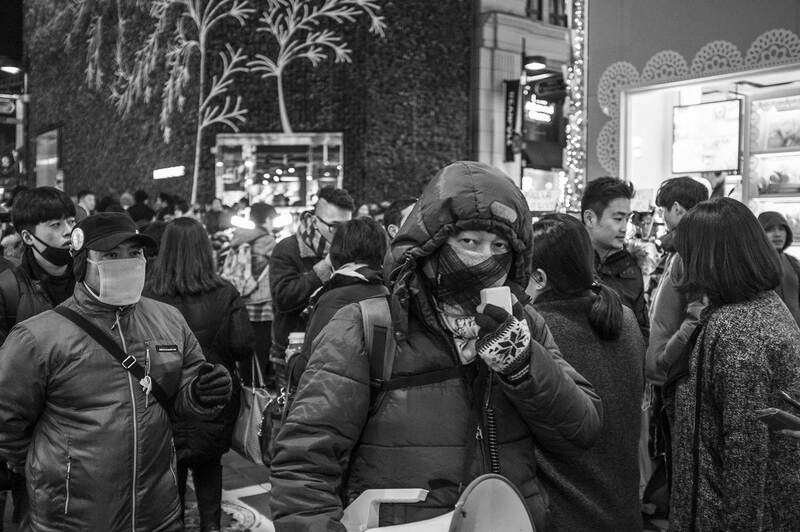 Man wearing mask during peaceful protest in central Seoul, South Korea. This is a funny one. My landlord from Taipei – a big watcher of TV – told me that some interviewees are allowed on television wearing masks so as to hide their identity when they criticise public officials. Maybe we should do the same, instead of wearing balaclavas.